Hello everyone, this is Tanmay Chakrabarty and welcome to this tutorial. 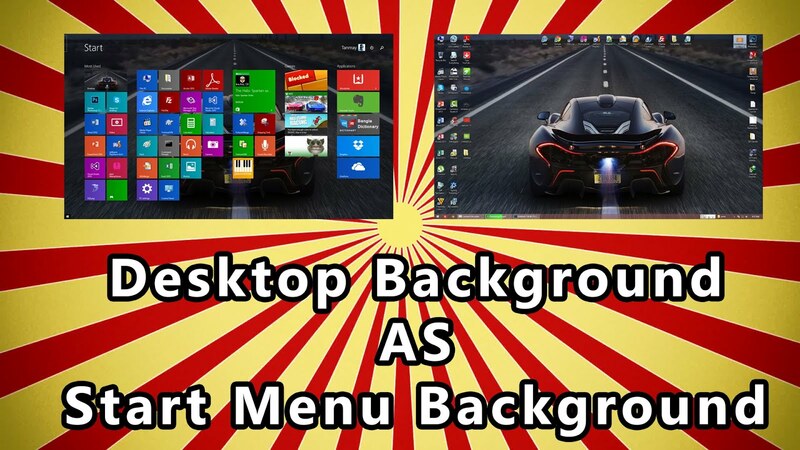 Alright, you can set your desktop background as the background image of the fancy start menu of Windows 8.1. You can do this in two different ways. Under the “Navigation” tab in the “Start Screen” group box check the “Show my desktop background on Start” checkbox. Select your desktop wallpaper from the given images which generally the last suggested image. However you can play with colors if you want to see the differences.